Resale Price Maintenance deals with selected countries: Canada, the United States of America, Sweden, Denmark, Ireland, and the United Kingdom. The main emphasis is placed on two subjects, namely, the effects of resale price maintenance and its termination, where this has taken place, as disclosed in official and private investigations; and the development of public policy measures, including consideration of the problems encountered in their implementation. 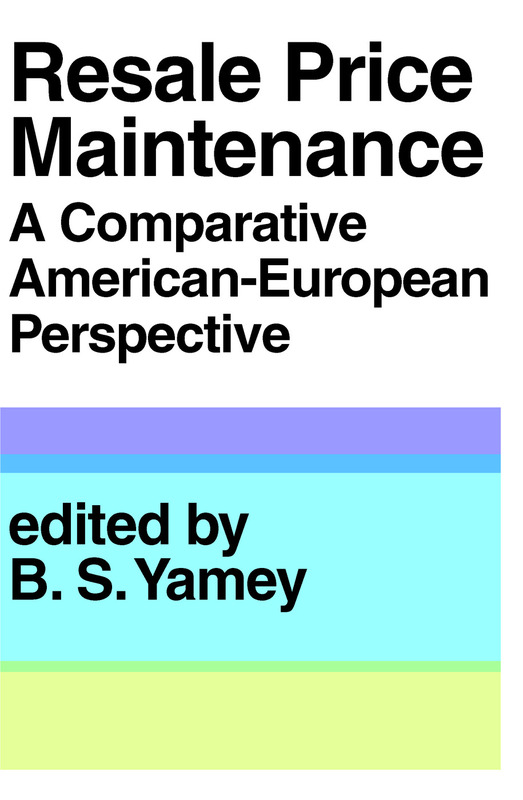 B. S. Yamey, in the volume, defines the major economic issues involved in resale price maintenance and presents a compendium of arguments that have been employed in the debate on resale price maintenance. Taken together, these country studies constitute a compendium of the arguments which have been deployed in debates on resale price maintenance; all the major issues and most of the minor ones are considered or at least mentioned in one or more of the studies in the course of the review of developments in public policy. An introductory chapter, by the editor, sets the scene with an analytical discussion of the major economic issues. This volume considers the historical development of the practice of resale price maintenance and its extent and scope when at its height. It also deals with resale price maintenance in the European Common Market. Dealing with the practice in the constituent countries and also as it is affected by the emerging Common Market policy towards restraint on competition, the volume focus on developments in public policy. Resale Price Maintenance carefully examines all major and many minor issues covers a wide range of trades and products that have been affected by resale price maintenance, and provides fruitful analyses of various empirical studies that have been made on the restraint and/or advancement of commerce.